Is Aperol Spritz The New Drink Of The Summer? Millennials would have you believe that rosé is the official drink of the summer, with everything rosé flavored popping up all over the place. Young women can often be seen sipping the rosy pink drink at bars or at dinner. However, it seems there’s a new drink in town. Introducing, the Aperol Spritz. Among the pink in everyone’s wine glasses, you may have started to see hints of a vibrant orange popping up around town. It seems the spritz has become the drink of Summer 2018. And once you taste it, you’ll see why. 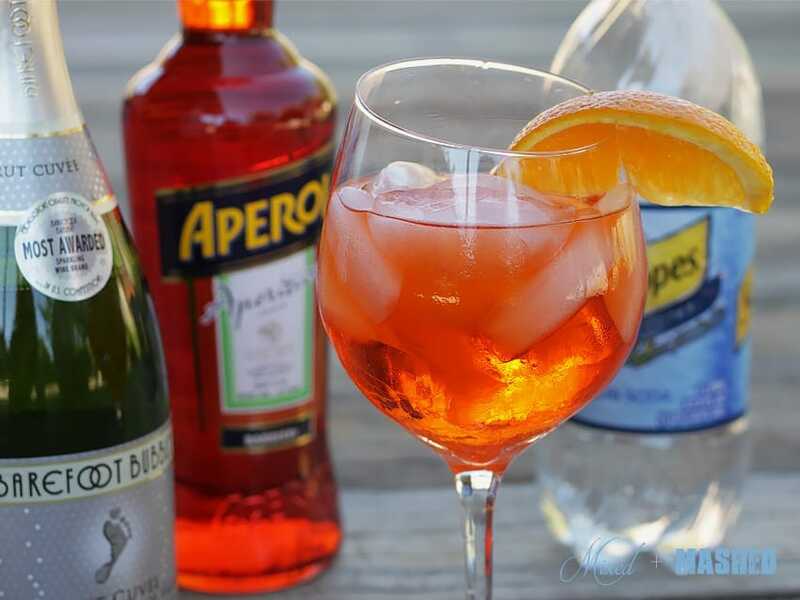 Not only does the Aperol Spritz have that light, refreshing taste that everyone craves on a hot summer day, it’s also incredibly simple. Tired of ordering a fancy, complicated cocktail at a bar and having no idea what’s actually in it? Want to make delicious drinks at home for you and your friends? This drink is your solution. April Wachtel, a cocktail instructor and the founder and CEO of the craft cocktail mixer delivery service Swig + Swallow, told Refinery29 that Aperol Spritzes are actually super easy to make. “There are a lot of cocktails that are easy to mess up, this is one where it’s really difficult to make any big mistakes with it.” The reason? The ratios can be varied, so you really can’t go wrong. 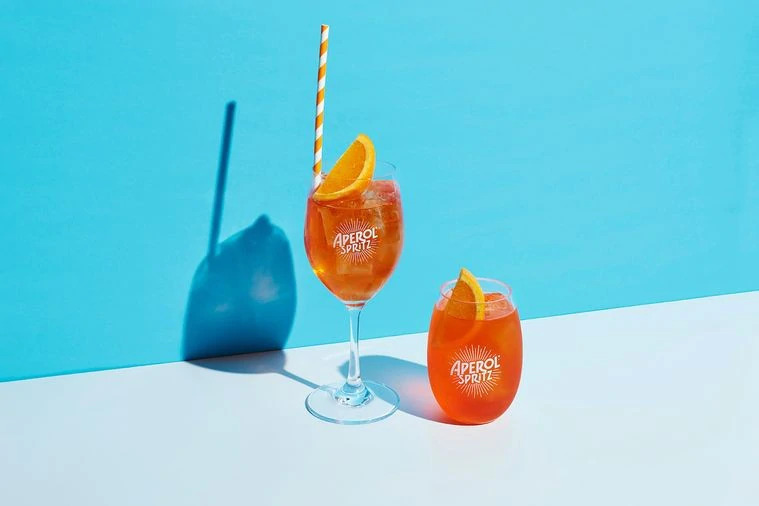 One of Aperol’s branded recipes calls for three parts Prosecco, two parts Aperol, and one part soda, but you can alter this to fit your tastes. Aside from changing the ratio, if you get tired of the same old Aperol Spritz every time you have a drink, try mixing up the ad-ins. Instead of the traditional orange slice, try grapefruit or lemon to add that extra kick. If the weather is way too hot, you can even blend up the ingredients with so ice. Much like the frosé became a popular frozen variant of rosé, a frozen Aperol Spritz can be made easily. Wachtel says that, if you have a blender, you can blend Aperol, fresh lemon juice, simple syrup, and ice, then top it off with Prosecco. This could be the best idea of the summer!